Being caught up in the world of addiction is nothing short of an exhilarating ride. Interestingly, it doesn’t even have to be our addiction. We also experience a piece of the struggle right alongside our loved ones who are afflicted with it. When the perception of hope is prevalent, life is good, comfortable, and nights are restful. However, when the addiction takes hold and begins to manifest, the nightmare begins and the previous high only serves as a stark contrast to the plummet into the depths of despair which replaces it. Heightened anxiety, constant micro management, and endless sleepless nights become the norm. Before we know it, we are lost in a whirlwind of chaos that is somehow consuming us, without it even being of our own summons. To our amazement, we become as helpless against it as our loved one is against their addictive patterns and behaviors. We spend all of our energy wondering why they don’t just stop. Can’t they see it is only causing pain and destruction? Meanwhile, we are just as strapped into the cart as they are. When they are up, we are up, and when they are down, we are taken down with them. Many times we may be left feeling crazy or trapped in a nightmare of our own making. The thing that keeps us getting back on with them is the fearful illusion that if we don’t, their inevitable demise will be on our hands. This fear becomes our withdrawal, and hope, our drug. We get lost in the life of the addict. We can lose our own identities, our marriages, and the lives we previously enjoyed. We are consumed with worry and the need to control. We mistakenly believe that if we just remove this one last obstacle, the ride will finally stop. There is very little left of us that has not been claimed in the battle for our soul. “When this happens, the ride is no longer appealing.” Gradually, like any amusement park, the day becomes long, and nausea begins to settle in. Rides that once produced exhilaration now only cause discomfort. Eventually, we just want to head back home, take a warm shower, and crawl into bed. 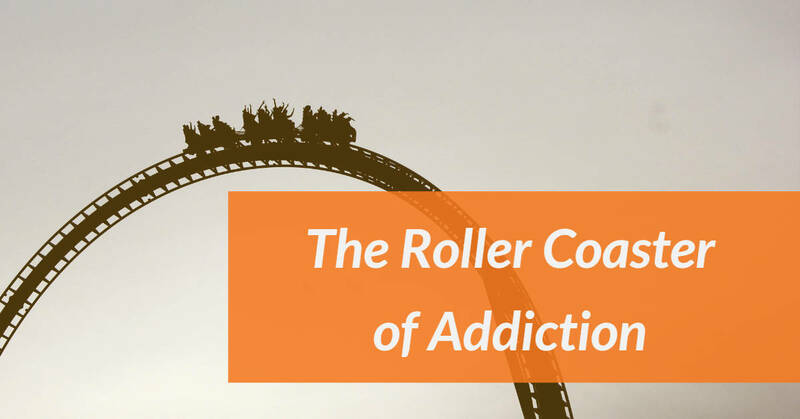 Much like our addicted loved ones, family members can reach their own “rock bottom.” When this happens, the ride is no longer appealing, and yet many of us have no idea how to release our grip and step out of the cart. We, too, have family and friends that look at our plight, wondering why we don’t just stop torturing ourselves. Their looks of confusion resemble all too well the helplessness we feel. Like any human behavior, change begins when the pain of remaining the way we are becomes greater than the dreaded pain of change. Once the balance shifts, we are able to realize the situation for what it is – a never-ending cycle of trauma and suffering. Very rarely do we have the opportunity to receive our own clinical attention. It is easy to mistakenly believe that the addiction has only claimed one part of the family system. In all actuality, the impact is far more devastating than we allow ourselves to accept. Next, we must allow ourselves to grieve, mourning the loss of any control we thought we had. It takes time to realize and accept that our relationship with our addicted loved one may never again be the same. And lastly, once we decide that this is a ride we no longer want to buy a ticket for, we find there are ways to support our loved one from afar. It takes a great deal of personal healing before clear boundaries can be established, and realize what we once was considered helping can quickly turn to enabling. Gradually, we learn to stand on the other side of the barrier, and wave to them as they whiz by…without needing to be seated next to them in the cart. “Mourning the loss of any control we thought we had.” This shift can be accomplished in many ways, but the healthiest and most effective way is overwhelmingly proven to be through regular, consistent therapy, or 12-step group participation. Just like our loved ones have a long journey ahead of them before sobriety, family members, too, may have years of personal growth to attend to in order to reestablish healthy ways of connecting to their lives again. Having someone mirror back to us ways in which we have chosen to “buy a ticket“ or catch us in the illusion that “just one more ride” will somehow be different than the thousands we’ve taken before, provides clarity and a space for healing. It’s never easy to realize that the old roller coaster, which once brought so much joy, is now a source of endless struggle, and the best thing we can do is walk away. The important thing to remember, is that the addiction has made the ride unsafe for us. The whiplash, headaches, and sickness we now feel every time we get off, makes us wonder why we ever got on in the first place. Thankfully, there is hope to be found in Brighton Recovery Center. Brighton facilitates weekly community groups every Sunday in Ogden and Salt Lake City. These groups are led by licensed clinicians who are trained in addictive patterns, and the corresponding codependency traits which follow. Come be supported by those who have been there, those who are just realizing they are there, and those who are at any given point in between. It’s time to put the focus back where it belongs, with the only person in the world for whom you can guarantee to make a difference…YOU. More information on Brighton’s customized dual diagnosis treatment.